Advertisements for tourism are often cliche and Utopian in their focus. But, what if your city, state or country doesn’t have landmarks people often seek out? What if you are a place people are more likely to drive through than plan a trip to? How can you get people to think of you differently so you can increase tourism? That’s where behavioral economics comes in. If you listen to The Brainy Business podcast or have heard me speak, you have likely heard me say “perception is reality” more than once. When you consider the behavioral economics – how the brain actually makes decisions – it is clear why these “nice” slogans don’t work. The main concept at play here is called Availability (which was the focus of podcast episode 15). This behavioral economics foundation is all about how things your brain can easily recall or relate to get more weight or significance in the brain. For example, people are much more likely to overestimate the percentage of Hollywood marriages that end in divorce, because those that do happen are in the public eye so often. You couldn’t just tell someone “Hollywood marriages – they last” and have their mind be changed. The subconscious has too many examples of this not being true. It is a piece of information the brain holds as a fact, so it takes something much different to shock the system and get a flag to the conscious brain. What does it tell you or show you about Nebraska? Absolutely NOTHING. People have picnics everywhere. Trees flower everywhere. Families are everywhere. This does not have anything interesting enough to shock your subconscious brain into thinking, “Hmmm, maybe conscious should take a look at this…” Instead it thinks, “Next” and the ad is not even a blip on the brain’s radar. Here is the behavioral economics explanation for why this works and is so smart: it has something shocking (images that don’t match the words) to make the subconscious reconsider its availability bias and actually CONSIDER WHAT IS BEING SAID. Any time you can get someone to stop and think – even for just a second – it is a big win for a non-market leading brand. And, when it comes to tourist destinations…Nebraska is definitely not a market leader. (Just consider all the buzz on social media, the news, and blogs like this. Would “Visit Nice.” have gotten attention like this? Absolutely not.) For Nebraska, that is a huge win. 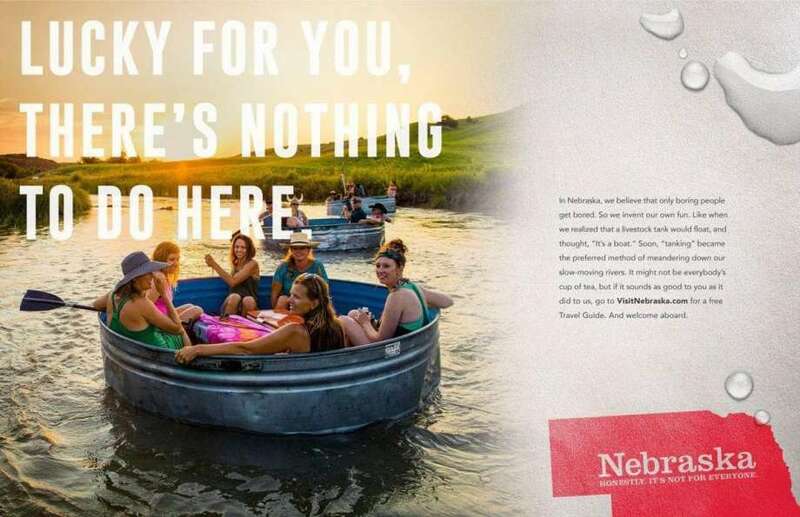 Before seeing these ads (assuming you are not from Nebraska or have not taken a vacation there…which is probably a vast majority of the people reading this blog) you probably thought what we all thought: Cornfields. Cows. Penny from The Big Bang Theory told me there is nothing to do there. After seeing these ads? You don’t know for sure. Maybe you haven’t gone to look up all that there is, and maybe you will not be flocking to book a ticket there…but it might have moved up on your interest list. It is in your brain now for a good reason. Those images are beautiful and the campaigns are simple enough to resonate (another thing that is important for behavioral economics and the subconscious brain). Note – they used an out of state marketing agency for the campaign, which is getting some flack. I get why on the surface that seems like a “betrayal” but sometimes you need an outsiders perspective to know how to talk to outsiders. 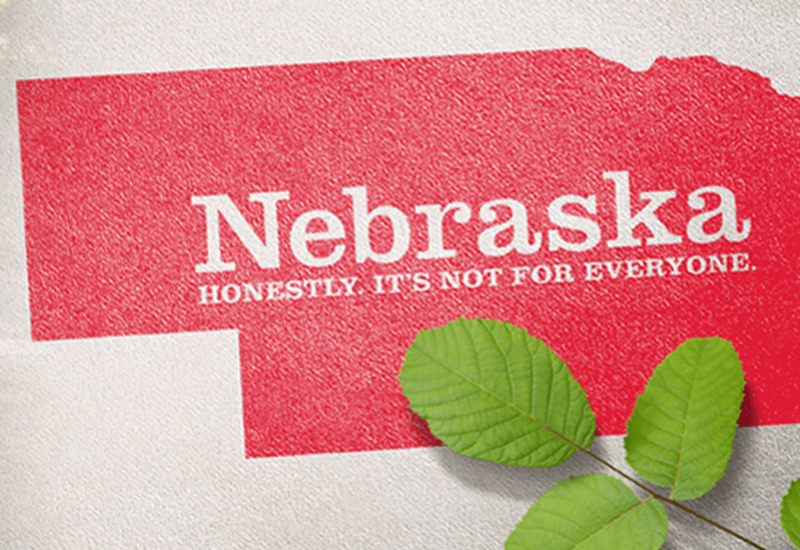 People in Nebraska are the “experts” of the state and their opinions are biased. In my opinion, the outside perspective was the right way to go on this attempt to rock the boat and shake up perspectives. 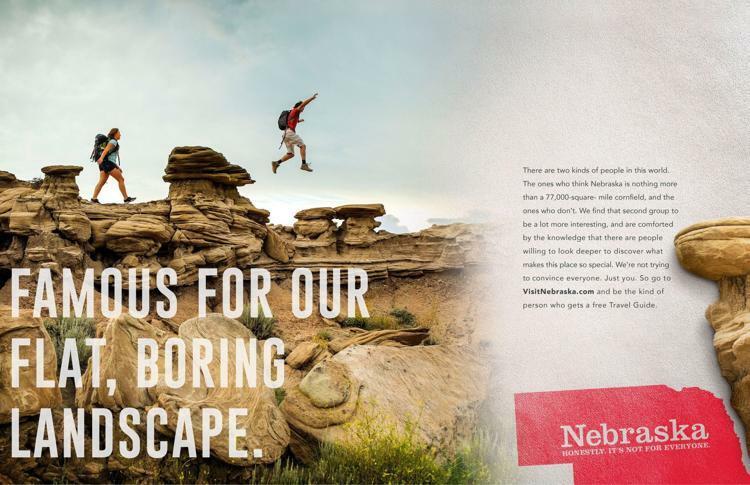 I predict this campaign will make a difference for Nebraska tourism and interest. And, I am here to officially say that (despite the criticism from some) Nebraska got it right. 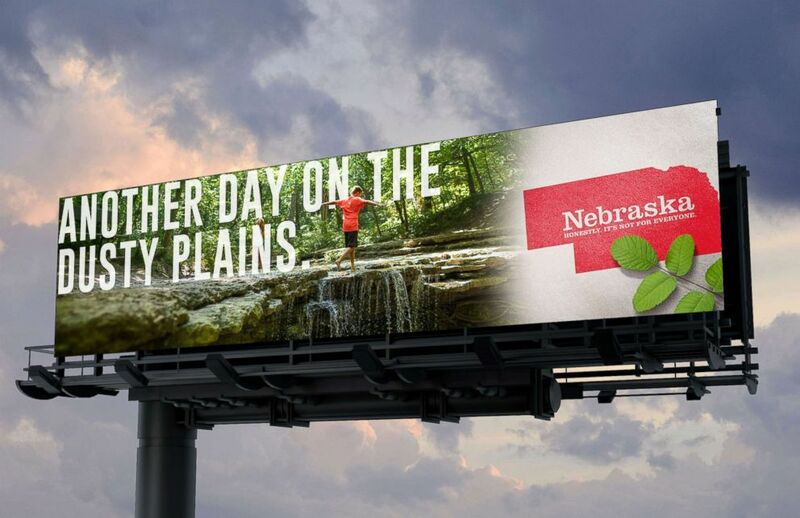 Check out the Nebraska Tourism site to see the other smart things they are doing…and maybe plan your next vacation. What do you think of the ads? How can you use this information for your own business? Let’s discuss in the comments. P.S. Thank you to Neil Hopkins for having an interesting conversation with me on Twitter about how this approach is potentially “played out” in the UK even though it is novel here in the states.